For more than 12 years, Tim, a Houston Legal Recruiter and Career Coach, has assisted attorneys as they navigate their careers in Houston, Austin, Dallas, New York and many other cities. As a former practicing attorney, he understands the difficulties every attorney faces as they plot a path to their career goal. 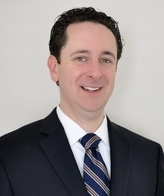 He works with law firms as a retained career coach, career transition/outplacement counselor and legal recruiter strategically aligning the goals of the individuals and the firms. Tim has successfully placed and counseled partners and associates in top-tier regional, national, and international law firms, and has completed numerous in-house GC and Counsel level searches for prominent international corporations. Working as a Houston Legal Recruiter, Tim is consistently (2014, 2015, 2016, 2017) ranked as one of the Most Influential Legal Recruiters by LawCrossing. Tim is passionate about helping attorneys achieve their goals and takes pride in co-developing a career strategy with clients and candidates alike. He is able to use both his experience and network to provide legal outplacement, coaching and career transition services for partners and associates. He leads a team of professionals who share his passion of working with attorneys to strengthen their skill sets. As a result, attorneys experience higher career satisfaction and greater engagement. Prior to joining ELR, Tim was Managing Director and Office Leader for the Houston office of Major Lindsey & Africa, a large international legal recruiting firm. Tim earned his undergraduate degree from Louisiana State University and his J.D. from Loyola University New Orleans School of Law. While at Loyola, he served as the Student Bar Association President. Tim also supports attorney development at prestigious law schools around the country having worked with Georgetown Law, Harvard Law, Tulane Law, University of Houston Law Center and UC Berkley Law. He has also co-chaired The Annual Houston Young Lawyers Foundation golf tournament.